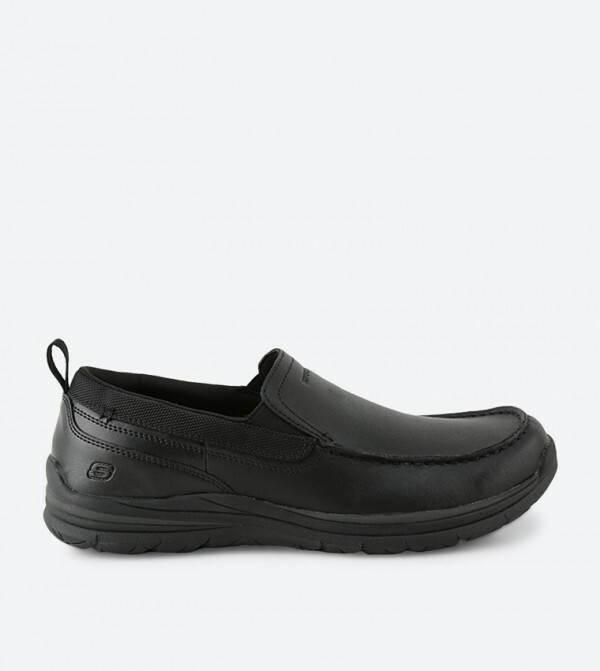 Make heads turn with your amazing casual look wearing this pair of black colored slip-on shoe by Skechers. Exhibiting leather upper with contrast colored stitch detailing, these slip-ons are extremely light in weight. The rubber sole further promises durability.